Germany's wine industry is likewise seeing a rebound after many years in the doldrums. 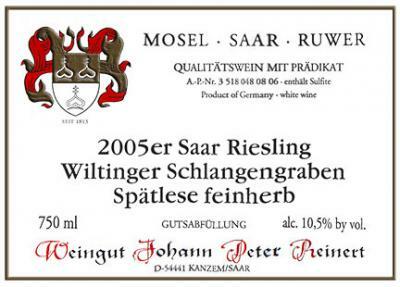 A hundred years ago, Germany's extraordinary Rieslings were widely considered the best white wines in the world. Its top wines, grown on steep south-facing slopes plunging down to rivers like the Rhine and the Mosel, have always been spectacular. They combine decadent peach and apricot aromas, delicate fruit, steely precision, and surprisingly long aging potential. What's more, the wines are perfectly in tune with the current market demand for honest, artisanal products with minimal manipulation. The near-vertical vineyards make industrial viticulture impossible; these are quite literally handmade wines. Quality German winemakers have never oaked their wines, and they don’t round them out by lees-stirring, malolactic fermentation, or chaptalizing (adding sugar before fermentation to boost the alcohol level of the finished wine). German bottlings also satisfy the growing demand for wine that speaks of place. Nowhere else — not even in Burgundy — does a wine transmit the specifics of its vineyard site and vintage more clearly. So what happened? Why do hardly any Americans drink German wines these days? 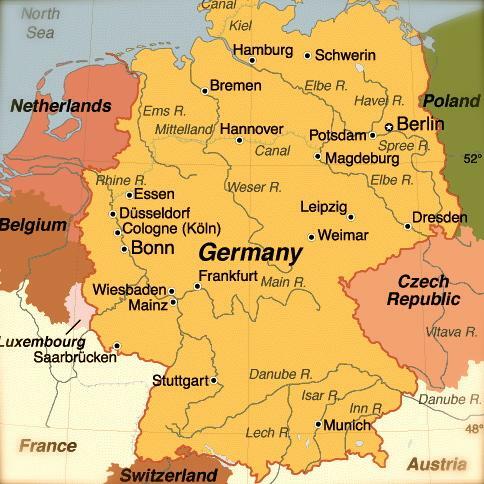 Well, first of all, Germany's winemakers shot themselves in the foot in the 1960s and 1970s by staking their international reputation not on the country's aristocratic Rieslings and refreshing dry Silvaners, but on mass-produced plonk made from the bland Müller-Thurgau grape. A well-earned reputation for poor quality is hard to live down; mention German wine to most Americans today, thirty years later, and they will still refer to Liebfraumilch and Blue Nun, wines that were not much more than sugar water. A second important reason is the labeling of the wines. Germans being Germans, they have traditionally labeled their wines with orderly, precise detail. If you know what you're looking for on a German wine label, you can tell the region, commune, vineyard where the grapes were grown, vintage, producer, grape varietal, and the level of ripeness of the grapes at harvest. Full disclosure is a good thing, right? Well, not when you're dealing with customers who don't read German, have no idea what German regions (let alone individual vineyards) are good, and don't care how the ripe the grapes were. For most Americans, traditional German wine labels are complete gibberish. Consider the image to the left as a typical example. But perhaps the biggest reason for the decline of German wine in the global market has been the shift in taste from sweet wines to completely dry ones. Americans associate German wines with sweetness, and they don't like (or won't admit that they like) sweet wines. This is the part where most wine writers would tell you not to be afraid of sweetness, and give some pointers on deciphering the language on German labels. I’m not going to do that, because these days it’s not necessary. You no longer need to have a sweet tooth to enjoy the wines. More than half of all German wine being made today is dry, and in some regions, like the Rheingau, dry wines make up as much as 85% of production. The even better news is that you don't have to speak German or be a wine geek to understand whether a bottle of wine is dry or sweet. All you need to understand is two words: Charta and trocken. Charta is the name of a German grower's association that has been encouraging better-quality dry wines for many years. If you see Charta on the label of a German wine, it's almost certainly dry. Easier still is trocken, the German word for "dry," which increasingly appears prominently on labels. Compare the impenetrable label above to a model of simplicity and clarity from current superstar winemaker Sybille Kuntz. The wine in this bottle features the exuberant aromas of peaches, fresh herbs, and stone that are the calling card of sweet German Riesling, but it's bone dry (trocken), like it says on the label. Easy, right? All of the wine-geek information has been moved to the back label, where it should be. Here are a few dry German wines that are well worth your attention. The first two in particular are widely distributed and should not be too hard to find. The iconoclastic Sybille Kuntz is a true pioneer. She broke into the male-dominated German wine industry in the 1980s, and promptly began specializing in dry wines at a time when nearly all German wine was sweet. Recently she switched to entirely biodynamic viticulture. Her dry Mosel Rieslings are famous for their impeccable balance. Johannes Leitz was another of the original Young Turks who pioneered dry whites in the Rheingau region. Don’t be put off by the cutesy name; this is seriously good juice, mainly from a single Grand Cru vineyard, and a real bargain at about $15. Floral and peachy, with a mineral undertone. Another great buy, this is the entry-level wine from the top producer in the Nahe region. Graceful and polished, with a chalky core. Try it with sushi. Riesling gets all the attention, but the Silvaner grape can make wonderful wines in the Franken region of Germany, usually at a lower price point than Riesling. This version, from an old family-owned estate, is clean and round, with a mild herbiness. It would be great with fresh peas and ricotta. Go ahead, give them a try. I think you’ll be sweet on these dry wines. Mike Healan grew up in a teetotaling family, and had his first taste of booze — a Bartles & Jaymes wine cooler — at age 22. He has spent the years since then making up for lost time. After fifteen years making people miserable as an attorney, he is now doing penance by making people happy in the food and beverage business. 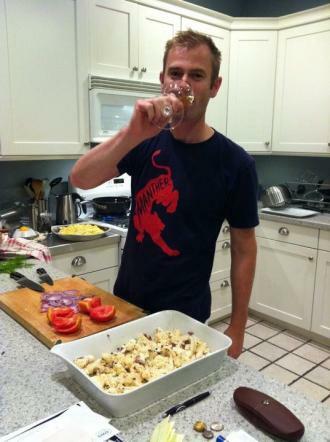 When not immersed in the world of wine, he enjoys world travel, staring contests with his dog, and eating copious amounts of cheese. He writes from the SGT East Coast regional headquarters in Boston.